Strangeways, one of my favourite bands ever since I heard them the first time ages ago, is out with their eight studio album. This might seem a surprise to some, because the hype always seems to be around "Native Sons" (released 1986) and "Walk In The Fire" (1989), like the band hadn't recorded in ages. In fact their latest releases before "Age Of Reason" were "Perfect World" (2010), and "Gravitational Pull" (2000). Yeah, there was quite a gap between these albums, but Strangeways has always been there in our hearts, and never really disappeared too far. There hasn't been much change in the band's music through the years, "Age Of Reason" is just a more mature album that stays even more in the mellower area mixing rock, aor and blues, which Strangeways has always done. The band has stayed true to their classic sound, it is something warm and cozy, something new bands struggle to find these days. It is this sound that always brings me back to this sort of music and Strangeways. Put on a Strangeways album and you're always right at home. It would be crazy to change something as perfect as this. And what makes it an even more enjoyable listen is the vocals of Terry Brock, who has always had a great sound. Mostly filled with midtempo and ballad stuff, this album might not be for some Strangeways fans, as it doesn't carry rockers in the style of the two earlier mentioned eighties albums. It does have its moments though, and as a whole the songs are still very Strangewayish, only very laid back. I still find the old warmth in each song, the album flows like a seamless dream. As such it is very easy listening. My favourite two ballads are thrown in a row, "Playin' It Over" and "As We Fall". These songs show how strong Strangeways has always been in ballads department, sending chills down my spine once again. The few rockers on offer, "The Sentinel", "Run" and "Frozen" don't much stand out from the whole picture as the tempo changes aren't big, but each song gives you more and more through each listen. "The Sentinel" is a good opener, and there's no denying the collaboration between Brock and guitarist Ian James Stewart always makes Strangeways moments worthwhile. "Age Of Reason" is a beautiful album for daydreaming. US-hardrockers Talon are back with a new release, and take off with a smoking start with "Crying To Me". Now it took me quite a few spins to get a liking to their songs, so it was only after those spins that I realized they started the album very nicely. In their very light and easygoing hardrock style one would assume that you would take a liking to them immediately, but Talon fools you easily to thinking there's nothing more to them than what you hear at first spin. Don't be fooled by your first impression. A band that started off as Voxen and had a song featured in the movie "Outbreak" with Dustin Hoffman, they still remain quite unknown. Firefest-fans have had a pleasure capturing the band at the festival twice, both times with a different singer (Michael O´Mara (Joshua Perahia, EFX) and Chandler Mogel (Outloud), but on this album the band introduced a new singer, Shawn Pelata (Line Of Fire). Pelata is a good singer, who manages the songs well. 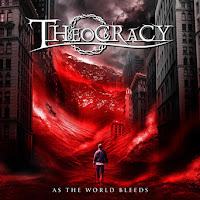 The album also features another Firefest face, Jeff Scott Soto (Journey, Talisman, JSS) on "Take You All The Way", and you can't guess wrong on his vocals, Soto has a very recognizable voice. He seems as though he's struggling a bit on some parts. Maybe he had to record on a flu day, or then he just had to sing too high, who knows. Mainly he's doing a great job though. On the keys the band has Eric Ragno, another regular face in Firefest, and also from bands such as China Blue and Takara. Talon is strongly weaved around the guitarwork of Kory Voxen and Jim Kee, and the melodies are beautiful. Great shredwork too. The choruses in "III" are what need the many spins though. In each song Talon has the potential to go soaring high in the choruses, but fail to be bigger than life. Great hooks are thrown in many directions, and strangely happen to be greater than the actual choruses. Talon states this release is a "return to the sound, vibe and energy of our debut selftitled release", and as such, having never gone further in the melodic rock scene, they should adventure to unknown paths to find where their true strength lies at. The band, with Phil Keller on bass, John Parker on drums and Erik Johnson doing backup vocals, is great and powerful, but a deeper look in the songwriting wouldn't be a bad idea. "Crying To Me" could show the way with its big chorus and smoking attitude. The band closes the album with a Starship-cover "Jane", another fine song for a fine hardrock album. 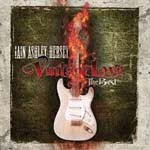 For people who are not familiar with the work of guitar picker Iain Ashley Hersey this is truly a great album as you can enjoy 15 mid tempo melodic hard rock tracks filled with lots of energetic guitar solos on this compilation. 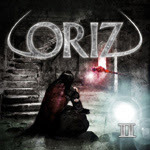 Shortino, Dante Marchi and Mike Stone, 5 songs from his second album Holy Grail with vocalists David Montgomery, Graham Bonnet, Carsten Schulz and Randy Williams, and 5 songs from his third album Nomad featuring Carsten Schulz and Doogie White on vocals. The latter sings the Rainbow cover L.A.Connection. 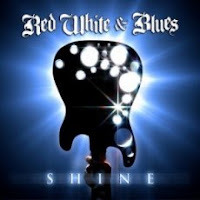 There is only one new song on this album, namely Red Head Rampage, sung by Carsten Schulz. If you already possess the three albums of Hersey it will be really not worthwhile to purchase this best of album. However, it is a great classic rock album and play it LOUD, please! My favs are: Blood Of The Kings and When Will My Love Fade. There are certain bands that seem to have it all together and in theory they should be among my all-time faves, but something just doesn't click. 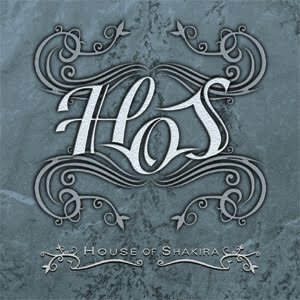 House Of Shakira is one of those bands. They're a highly respected Swedish Melodic Rock band with a sound of their own and a bunch of praised albums under their belt, yet I'm somewhat indifferent towards them. I've quite enjoyed those albums in the past, but to be honest, I don't think I really remember any of their songs. That's not to say that they don't have any. "HoS" marks a new chapter in the band's history, with the band revamping their line-up with three new members, vocalist Andreas Novak, bassist Basse Blyberg and drummer Martin Larsson. 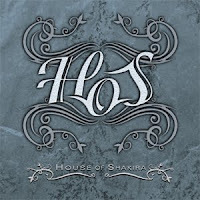 With such a major line-up change one would expect a major change in the sound as well, but no, "HoS" sounds very much like a House Of Shakira album. 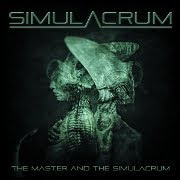 Guitarists Mats Hallstensson and Anders Lundström haven't tried to re-invent the band, merely update it. Novak has a different sound than his predecessor, but I think he fits really nicely into the band. As a result of all this, "HoS" might just be my favourite album of theirs, a thoroughly enjoyable effort. Each one of the album's 13 songs gets a "thumbs up" from me, some more hesitantly than others though. Despite that, the album "only" gets an "8" because none of the songs really blew my mind. Even the best tracks like "Fractions Of Love" and "I'll Be Gone" are merely very, very good but not the kind of songs that would fight over the title of "Song Of The Year". But "all good" isn't bad at all. If you've liked the previous House Of Shakira albums, I don't think that you'll be disappointed with this one. If you haven't heard any of their music but like hard rock along the lines of Van Halen (Hagar-era especially), Tyketto and the rockier side of Journey, I don't think that you'd be disappointed either if you were to purchase this album. The American powermetal group Theocracy isn't the easiest band around for a music fan. 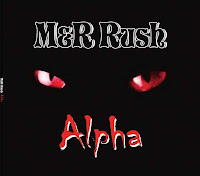 Releasing their follow-up album after the epic "Mirror Of Souls", "As The World Bleeds"
"what the heck just hit me", and closes with an eight-minute "As The World Bleeds". In between there's no short hits either. softer. The instruments have surely been smoking from their masters touch. spotlight but the songs themselves. doubt many would take on that dedication even if they were handed out a free cd. to grasp into if you're not too familiar with powermetal yet. 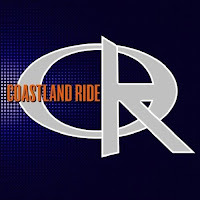 register with a very clean sound, and even has some Michael Kiske tone to it at times. of BS are too obvious but again there are worse bands to use as a "role model". Encouraged by the fact that the last two obscure releases I've reviewed turned out to be quite good, I picked up the third one and hoped for the third stroke in a row... no such luck. 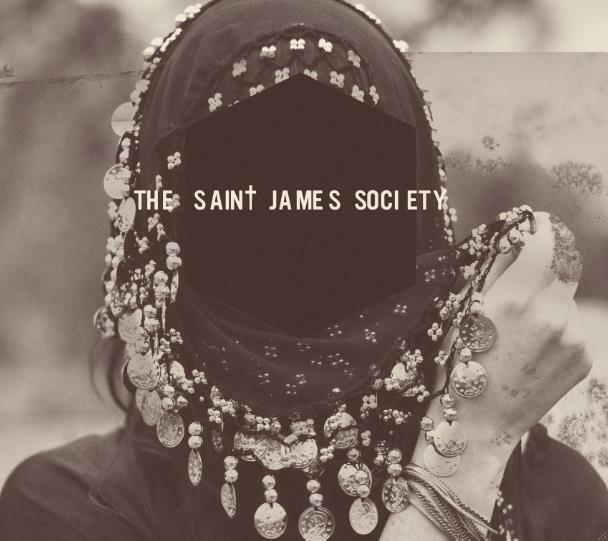 According to the bio, The Saint James Society from Texas are "psychedelic garage rockers" playing "Pentacostal Desert Glam". Say what? All I know that I didn't really find anything to grasp in their music, I didn't hate it but I didn't like it either. After repeated plays their songs stayed distant, and the only song that I really noticed was "The Ballad Of White Horse", which has a bit of a glam vibe. Think of Vain or Bang Tango with an overdose of The Doors and 60'ies psychedelia... Weird. I'm sure that some fans of garage rock will think that this band is really onto something, but for me the greatness of this band remains a mystery. The guitarwork by Knut Lysklaett and Christer Haroy is outstanding, and vocalist Terje Haroy is simply brilliant - great range and a lot of power in his delivery. The rhythm section of Knut Hellem and Rayner Haroy has to be applauded too and I have no complaints about the production either. The only reason why I don't rate this higher than I do is the fact that some of the songs aren't that captivating. 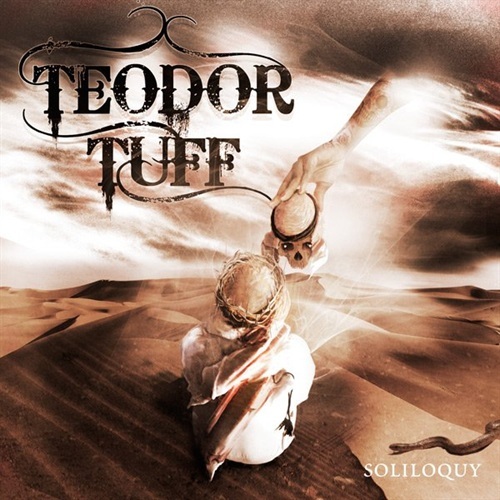 Then again, the highlights such as "Addiction", "Mountain Rose" and "Mind Over Matter" are indeed great, and I have a feeling that Teodor Tuff are one of the bands people will be talking about in 2012. 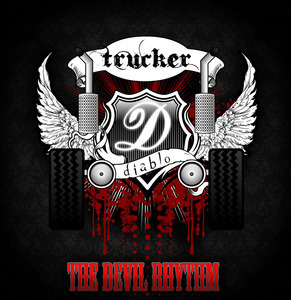 "Trucker Diablo". 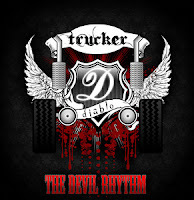 "The Devil Rhythm". Opening track "Drink Beer, Destroy". Four rough-looking guys posing in front of a truck. 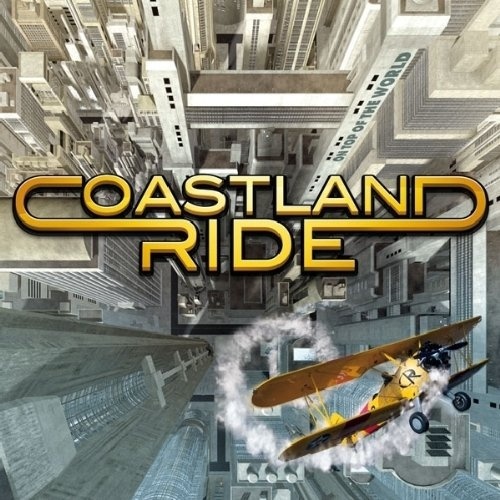 Ok, I was almost certain that this would be the kind of straight-forward, boring biker rock that I rarely have time for, but I'm glad to say I was wrong! Make no mistake, "The Devil Forward" is straight-forward biker rock but it isn't boring. Despite their rough style and sound, these guys obviously aren't afraid of writing songs with big melodic hooks. The opening triple threat of "Drink Beer, Destroy", "Juggernaut" (feat. Ricky Warwick) and "Big Truck" proves just that, these songs have probably the sharpest hooks of the album. Among the remaining nine tracks, there's not much to shout about. "Made Up My Mind" is okay and maybe a couple of the others, but the rest... let's just say that I was expecting to hear a smooth cover of the "Love Boat" theme somewhere between the band's own yacht rock exercises. Knowing that this band is capable of delivering first class melodic rock, I just wish that for the next album they'll do just that. Enough with this smooth wimp fluff, stay away from the yacht and crank it up! 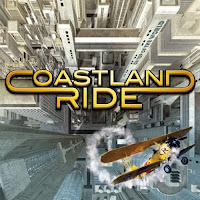 Avenue Of Allies record label hooked up with Coastland Ride and as a result, we're served with a double dose of their music - a re-issue of their 2003 debut album and a brand new album. This is the re-issue, and it's enhanced with three bonus tracks. I remember somewhat liking this album back then, and the opening track "Let Me Let You Go" was among my favourites of that year. That song is still a fine piece of AOR, but overall I find this album a bit too lame for my taste these days. When the band choose to rock out a little more they aren't too bad at all, but the wimpy, poppy westcoast stuff like "Never The Same" or "Second Hand America" makes reach for the skip button. 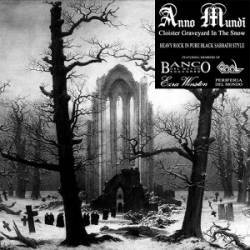 Out of the three bonustracks, "The World Is Not Enough" is the standout one, with a cool, dark vibe and a strong hook. "Jenny's Heart" weers more towards the westcoast style, while "Pitch Black Ride" is harder-edged one reminding me strangely of INXS. All three are better than some of the tracks that originally made it to the album. The original album was a nine-track CD and for those songs I'd give a "6". With the additional three songs, this version of the album is stronger, and deserves a better rating. So there, it's a "7". Chicago-based readers who followed the scene in the seventies might remember this band, as apparently they were "local heroes" and had local radio hits and sold-out shows during their heyday. In 1987 they threw in the towel, yet the people didn't seem to forget them. Finally in 2002 the band was re-formed and they've played a lot of summer shows after that and released a few CDs. With 40 years of history behind them, it's worth applouding that the guys still release new material for their fans and continue to play gigs. 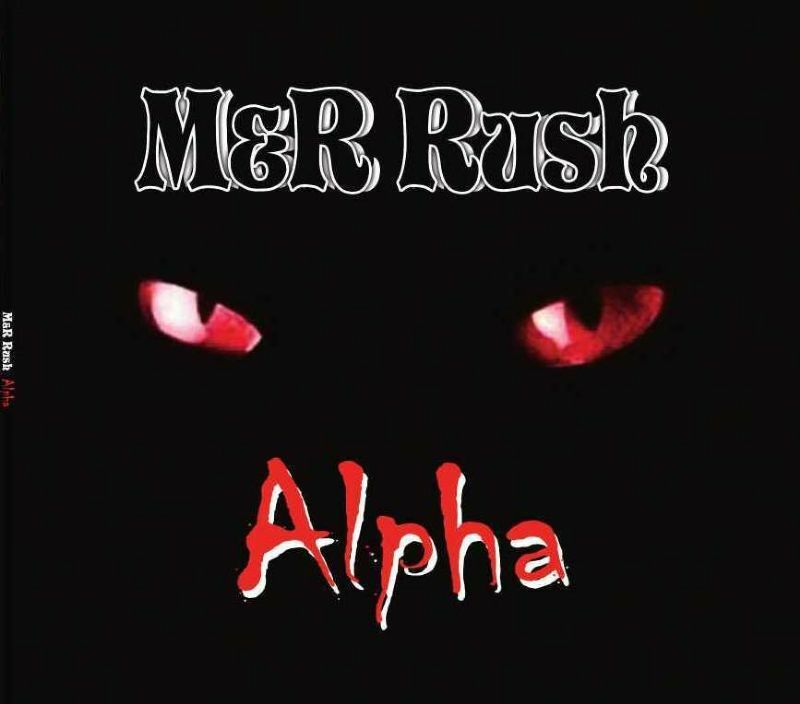 "Alpha" is their latest product, an 8-track mini-album with 5 M & R Rush originals, a couple of short interludes and an Autograph cover "Turn Up The Radio". The Autograph cover is a fairly faithful version and the band pulls it off quite well. Unfortunately the bands' own compositions pale in comparison to it. 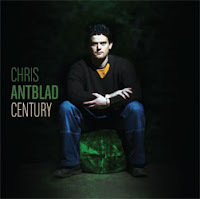 Former Spin Gallery vocalist Chris Antblad finally got his first solo album out a while ago, and this is a safe bet for anyone into down-to-earth melodic rock. Antblad is a fine vocalist in the vein of Danny Wilde or Bryan Adams, and his songwriting is carved from the same wood as theirs. The production is quite excellent, although those who like their melodic rock a bit raunchy and raw might find it too polished and polite. The album's opener "A Fire Burning" doesn't give the best first impression, as it's hardly the "hottest" track of the album, despite the title. It's a nice enough pop-rock track, but for me one of the weaker songs. The title track has a slight "new country" vibe, but I prefer it to the first song. Both "Asleep In Your Arms" and "Battlefields" are somewhat darker and more dramatic songs and quite excellent, as is the very Danny Wilde-like "Get In Your Car" with its' catchy chorus. The highly melodic "When Fools Rush In" is one of my favourites, but I'm not too keen on the overtly "modern" production of "I Stand Corrected". The squeaking synths are frankly downright annoying! Between two country'ish songs is the straightforward rocker "I'm Gonna Make You Mine" which I rate as one of my faves. "Jealous Eyes" stands out as a bit different because of its' Toto-like vibe. The last two songs are both very good, especially "Living On A Lie" which closes the album very nicely. I can't say I dislike any of these songs, but then again, as good as they are, I'm not sure whether any of these songs will make it to my "favourite songs of 2011" list. Therefore, only an "8", albeit a strong one.